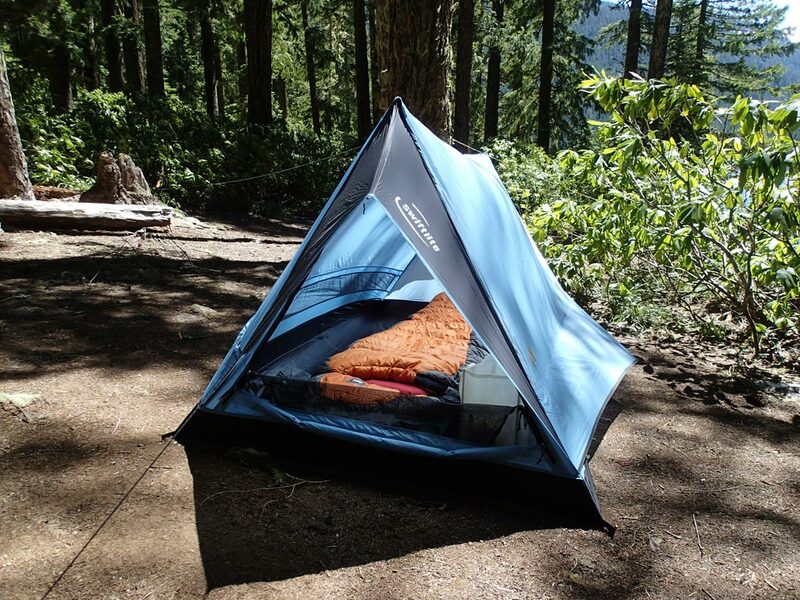 From High Peak USA, "Following the ultralite trend, the Swiftlite is a roomy, two person shelter that weighs just 2 lbs. 14 oz. 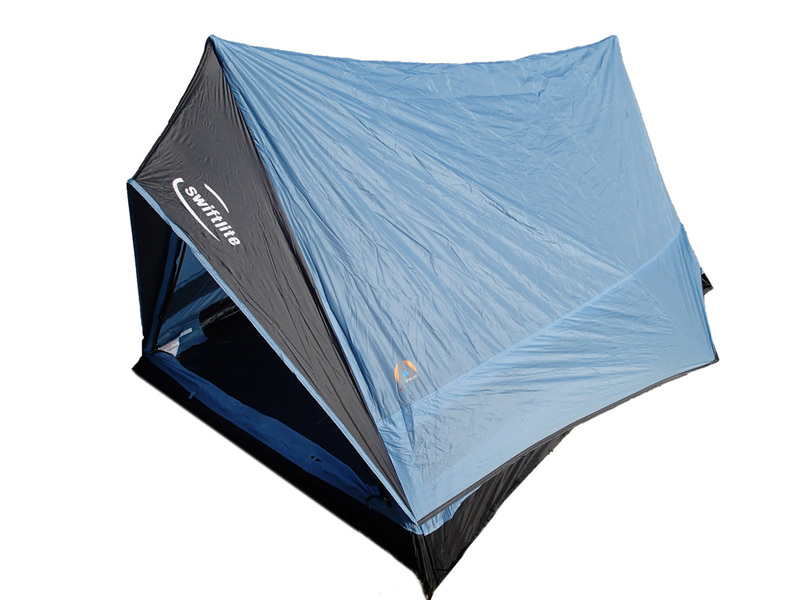 This single wall tent can be fully enclosed to keep out the elements and features a durable seam-sealed Ripstop nylon construction. Two 7.9 mm 7000 series aluminum poles support the structure. Ventilation is achieved through two built-in side vents, a zippered door and open foot area with No-see-um, seam-taped bug netting." Size: 85 in. x 54 in. x 43 in. Trail Weight: 2 lbs. 14 oz. Packed Size: 16.5 in. x 4.1 in. When I received my Alpinizmo Swiftlite tent by High Peak USA I was very pleased with how small and light the package was. It weighs 2 pounds 13.5 ounces on my scale. The size and weight will make it easy to pack on my next backpacking adventure. I was also pleased to find the included detailed instructions printed in color on a full size sheet of glossy paper. 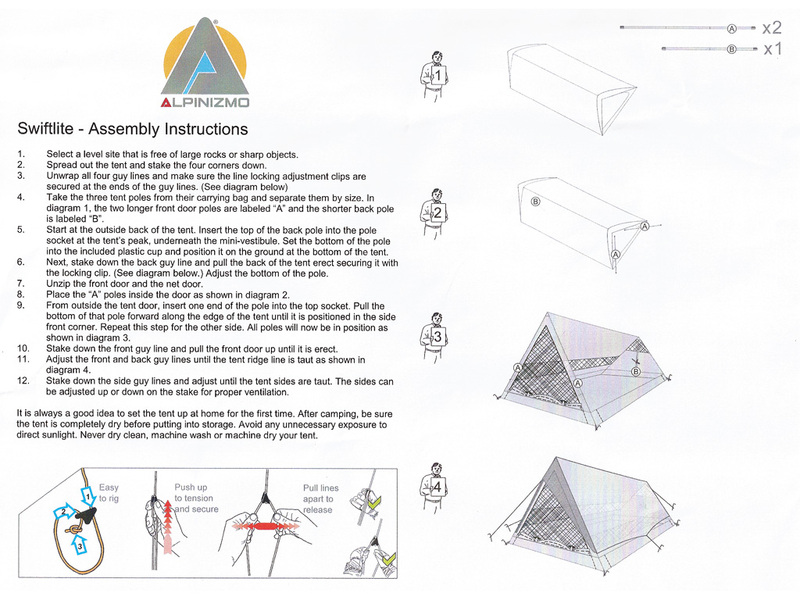 The Alpinizmo Swiftlite tent itself appears to be well made and constructed of durable, yet lightweight materials. It is basically a single wall silnylon tarp tent. 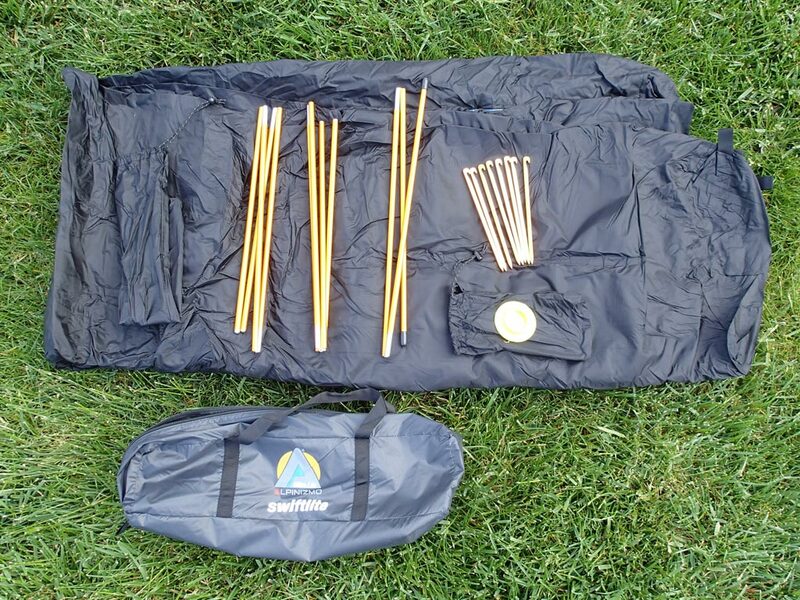 The eight lightweight aluminum stakes come in their own bag as well as the three aluminum poles in another bag. My first time setting up the Swiftlite tent required pulling the fabric apart because it was stuck together. That should disappear as the tent gets used on multiple trips. I found the instructions easy to follow and was able to set it up the second time without the instructions in under 5 minutes. High Peak went above and beyond by having the four guylines already attached to the tent and set up with line-locking adjustment clips. The Swiftlite pitches taught as long as you really tighten the front and rear guylines. 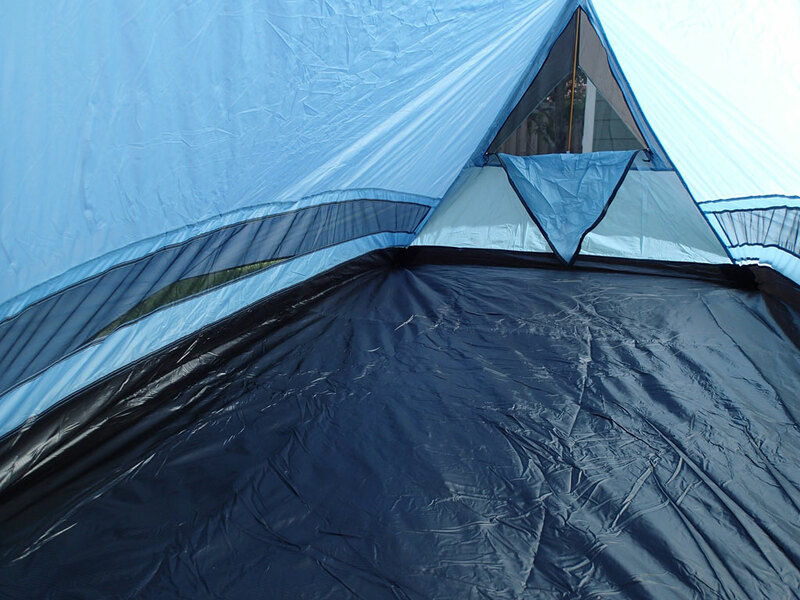 I found it odd that the two front poles by the door do not have an attachment point in the center of the tent (such as a Velcro tab). It doesn't appear to matter, but would keep things a little cleaner looking. One of my favorite features on the Alpinizmo Swiftlite tent is the line-locking adjustment clips on the guylines. They make it super easy to adjust the tent guylines. Once they are locked into place there is no apparent slipping, but they are still easy to release. The interior of the Swiftlite tent appears quite roomy in part because the sides are partially pulled out by the side guylines. It will easily accommodate two averaged sized campers, yet is light enough for solo backpacking adventures as well. The front and rear vents can be closed during stormy weather, but should help reduce condensation when left open. 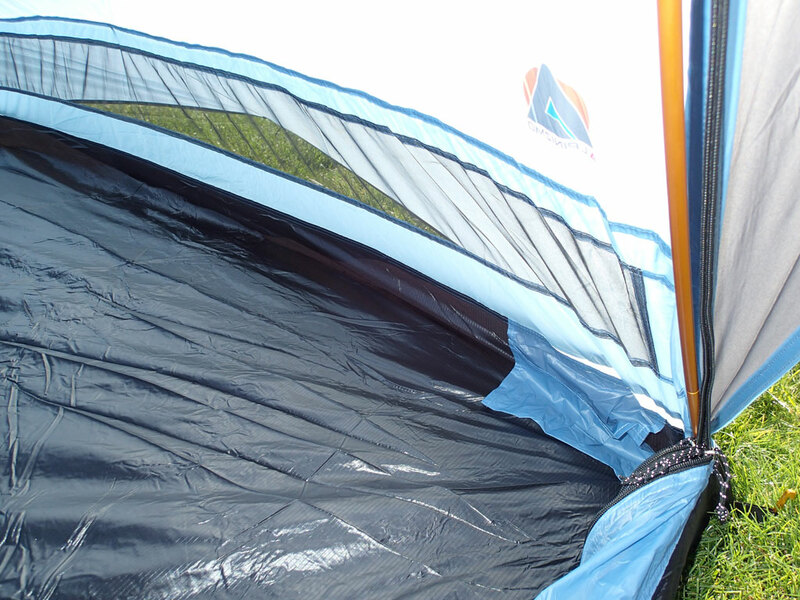 The two side vents are protected from the elements by the overhanging sides of the tent which can be adjusted by lengthening or shortening the side guylines. 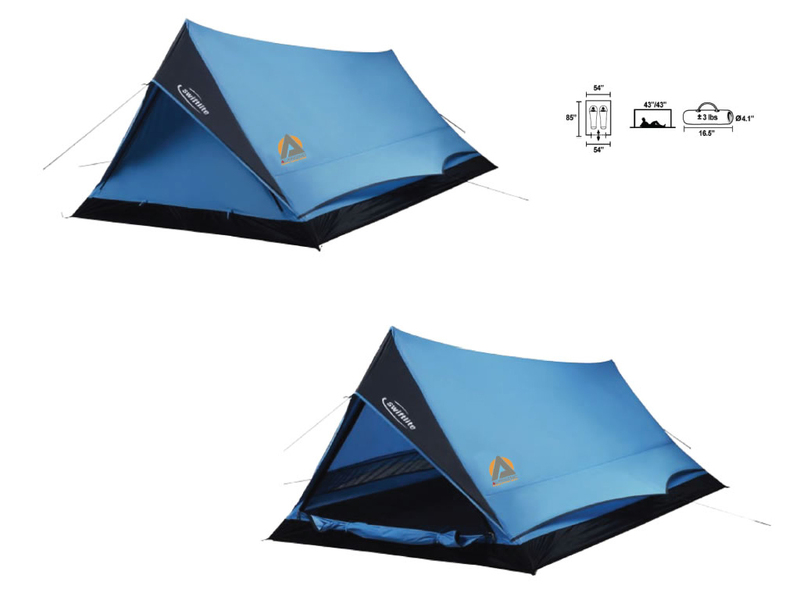 The Alpinizmo Swiftlite tent appears to be a great ultralight backpacking tent at a great value. High Peak did a nice job with the design and I look forward to testing it in the backcountry. The video below illustrates a few of the features and shows how easy it is to setup the Swiftlite tent. My initial use of the High Peak Alpinizmo Swiftlite tent was on a recent climbing trip. I used the Swiftlite tent at my base camp to spend the night before climbing the following morning. I setup the tent as it was getting dark and it was just as easy to setup as in my backyard. I definitely recommend setting the Swiftlite up before taking it on an actual adventure in order to make it easier in the backcountry. During my field test, the weather was pleasant with only light winds and moderate temperatures. It dropped to around 39°F overnight with plenty of moisture around. I slept with all the vents open and did not have any condensation at all. I used the Swiftlite solo and had room for days. Two people would have fit fine along with a little bit of gear. I was extremely impressed with the Swiftlite tent the following day when I returned from my climb. The wind had really picked up to the point of gale force even at my base camp. I was worried the Swiftlite might have blown away, but I returned to find it exactly as I had left it. The guylines didn't even need re-tensioning. So far I am extremely impressed with the Alpinizmo Swiftlite tent by High Peak. It has performed well in windy conditions and I look forward to testing it in inclement weather. It doesn't show any signs of wear so far, but I do recommend the use of a ground sheet to protect the floor. See Mt Jefferson adventure where the High Peak Alpinizmo Swiftlite tent was used. Special thanks to High Peak USA for providing the Alpinizmo Swiftlite Tent for review.